I love supporting a good cause. I love anything that allows me to do both at the same time. 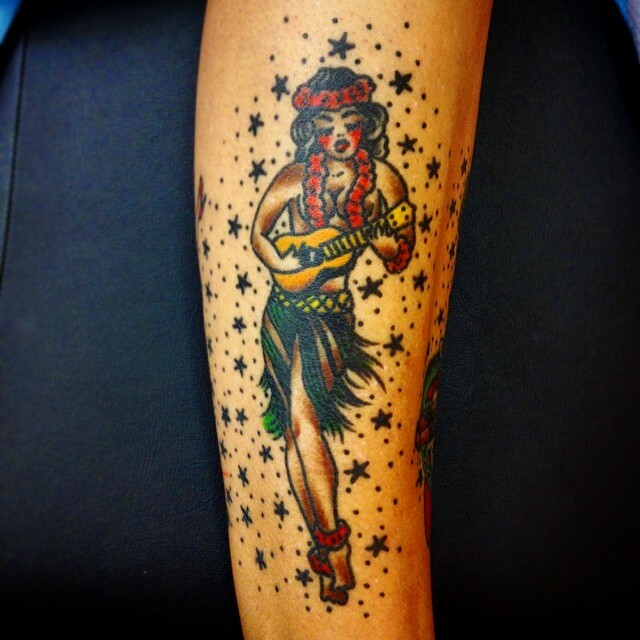 Classic Tattoo has been in business since 1989. It is the oldest shop in Fullerton and boasts the best yelp reviews in town. 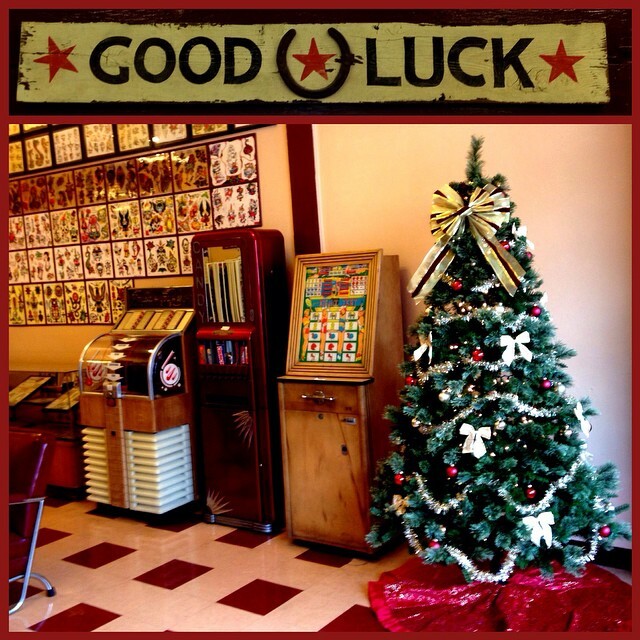 The shop has a vintage feel, the artists are great, and the tattoos are amazing. I have been tattooed in several different countries, but I go in once a year to get a tattoo from Joe Rouhana, and have yet to be dissapointed. 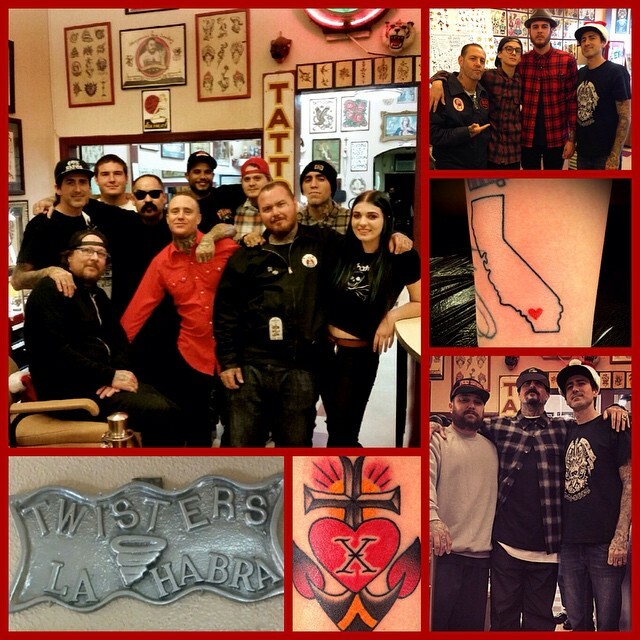 The shop was recently bought by Tim Hendricks of Miami and New York Ink. He is keeping the shop alive, and doing all sorts of fun promotions. The Christmas party is just one of his many good ideas. 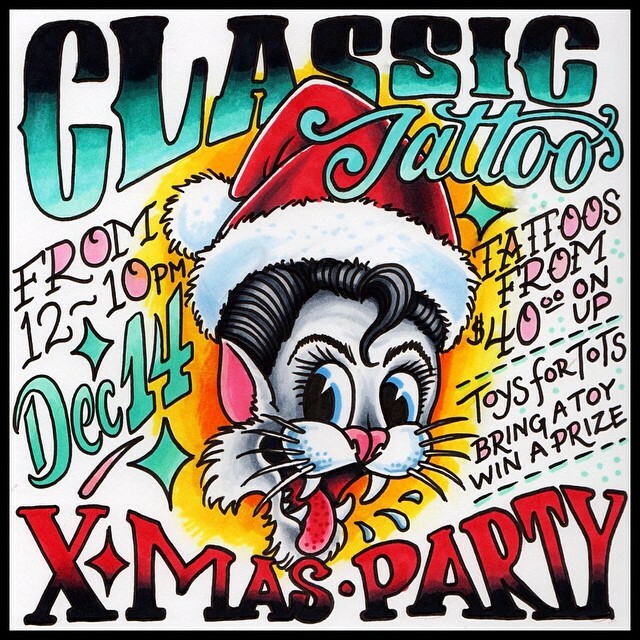 The idea was, bring a toy for Toys-for-Tots, hang out with some great people, and get a cool tattoo. What the flyer doesn’t advertise was that a portion of the money made from ink went to support breast cancer. The wombmate harbors a secret love for Tim, so we decided to get some toys and go to the shop to meet him. While we were shopping for toys, we decided that we would get matching tattoos. I have tried for many many many years to get her to get matching tattoos, and she finally agreed. We agreed to get K squared (she was pushing for “wombmate,” but I wasn’t quite ready for that). When we got to Classic, the shop was full of people. 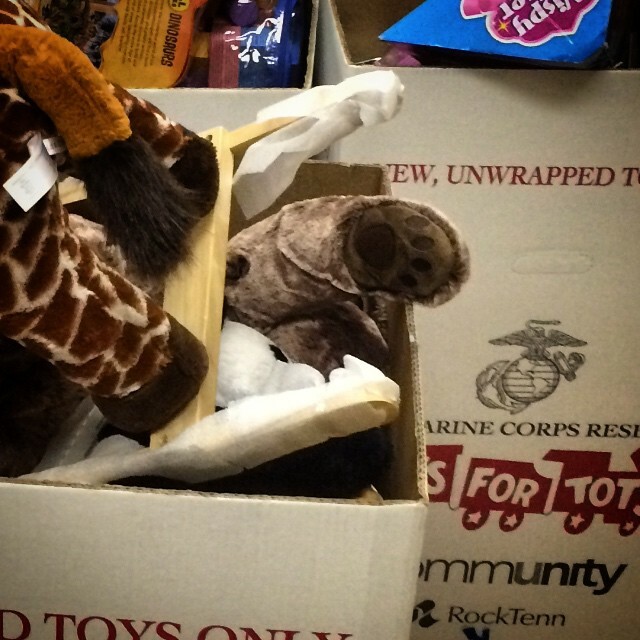 We dropped our toys in the box, and put our names on the waiting list. We really lucked out. Joe, the best tattoo artist on the planet was not only working, but could take us quickly. The downside, was that the shop was only doing a set number of tattoos. We looked at the options, and decided on the one that we wanted. For the first time in the 10 years I have been getting tattooed, she agreed on a matching one. An hour and twenty minutes later, we made my mother really proud of our life choices. At sea, the anchor is the most secure object in a sailor’s life, making it the perfect representation of stability. This is why you’ll often see them emblazoned with “Mom” or the name of a sailor’s sweetheart (the people who keep them grounded). 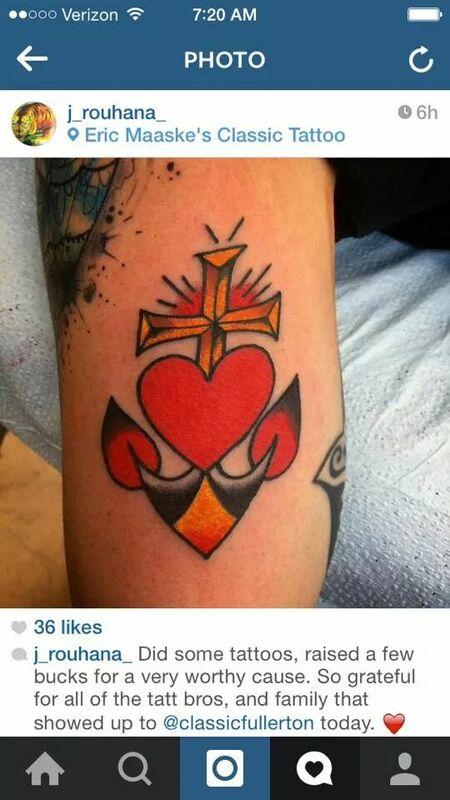 Anchors have become popular within general tattoo culture over the years, but the symbolism is still the same. 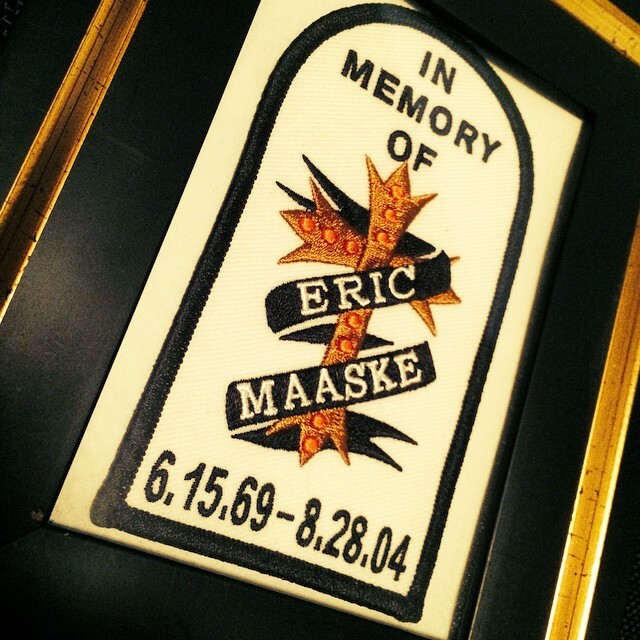 It’s a reminder of what keeps you steady. For me, my wombmate keeps me steady, and I weigh her down. Joe was even nice enough to take a picture with me. If this is not the best Christmas card ever, I have no idea what is. He told me to look mean, while he would smile. He hates crowds, and having his photo taken, but he braved both for me. We have a five year relationship going, and he will get many many many more years from me. 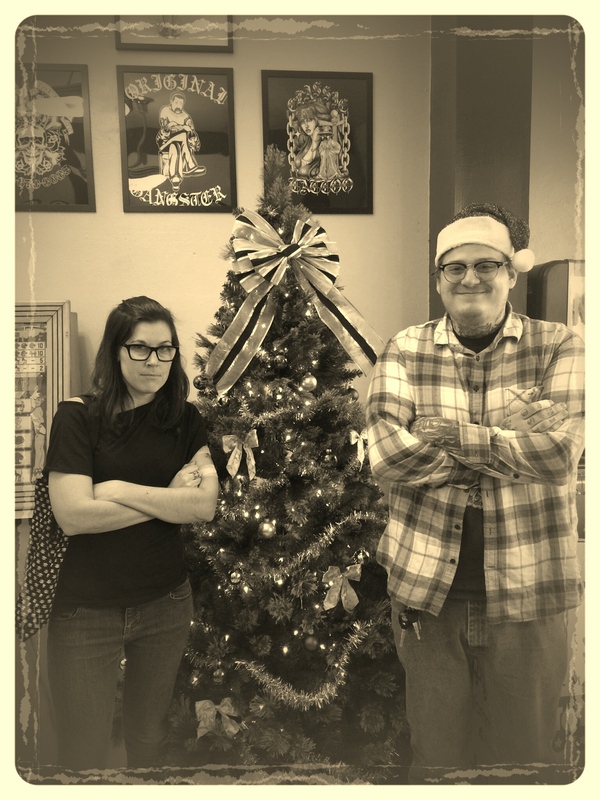 The shop raised several thousand dollars, filled 8 boxes with toys, and Kelly and I finally got some matching ink. All in all, not a bad way to spend a Sunday. 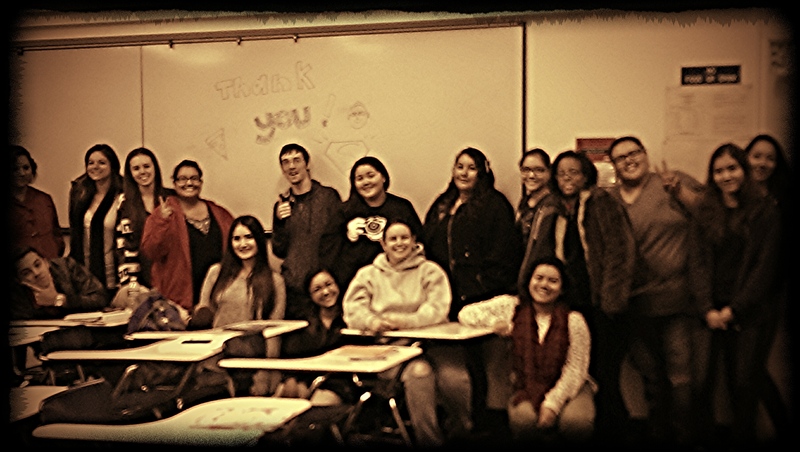 Today was the last class of the semester. While I am always happy for the end of the semester, this one is special. This marks the halfway point in my doctoral journey. I am so excited about this. It means that in two semesters I will be done with coursework, and in a year and a half I will be walking across the stage to get those three little letters after my name. This semester has been the most challenging of my entire academic career, and the fact that I survived a tiny bit intact is saying something. Despite the advice of the faculty to spend the month off working on chapters 1-3 of our dissertations, I plan to read books off the list I made this year and watch bad horror movies on Netflix. I might not even put real pants on. I was also able to accomplish another important feat today. I made a promise to someone that I would not cry on my way to class and I would not cry on my way home. I’m happy to say I kept that promise. I think that means I can count today as a resounding success. My annual eye exam turned up a surprising result: I have a small bleed in my left eye. The first question the ophthalmologist asked me was if I was under a great amount of stress, or had high blood pressure. I laughed. If she only knew what I had been dealing with. I almost told her I was a racist, and to maintain that viewpoint was stressing me out, but I went with the simple answer: I’m a doctoral student trying to finish coursework and I have three jobs. She told me that this often happens when the body is put under a great amount of stress. It can fix itself, but in the meantime, I am supposed to find my zen, and visit her again in 3 months to make sure it has not gotten any worse. Whilst this is not a bad thing, and I will be fine, it figures that my grad program would make my eyes bleed. I’m watching my cat play fetch. Watching my cat play is more entertaining to me than the work that I have to do, the papers I have to grade, and chapters I should be reading. I made a mistake when I was in Helsinki….I didn’t have a plan. I thought I was part of a tour group, when really the tour company provided an hour long tour around the city and then dropped us off in the shopping district for 8 hours. 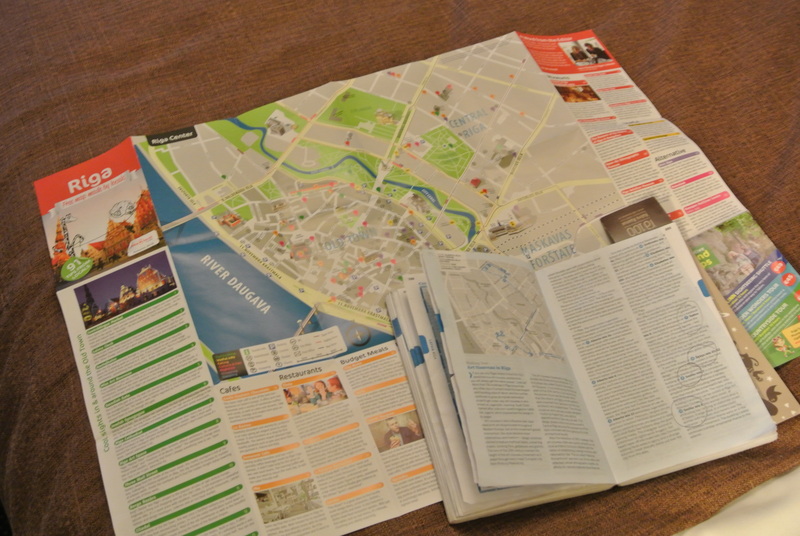 I did not have a map or really any direction, and while I had a Lonely Planet guidebook, it was not much help. 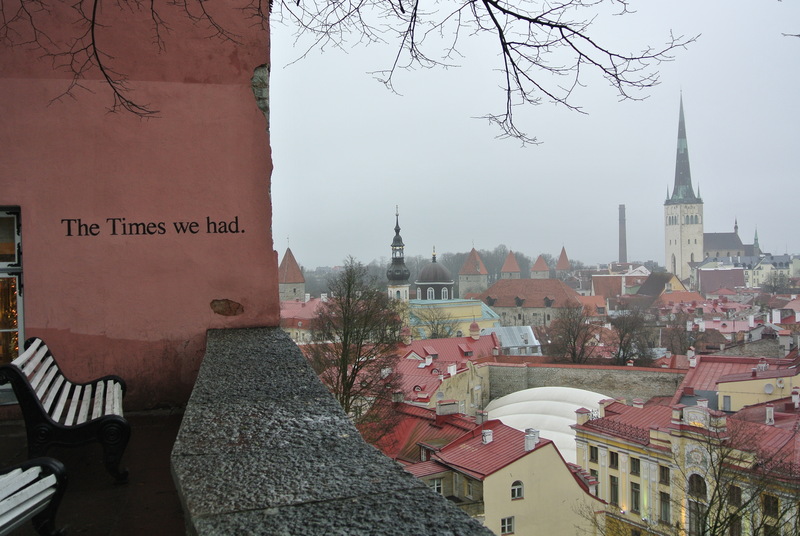 I decided that my time in Riga would not be like that. I spent the four hour bus ride reading about some of the things that I wanted to see, and booked a hotel in the center of the action. I grabbed a good map from the front desk and used Google maps to make a list of how to get to each of the places. I got into Riga around dinner time, and was absolutely knackered from the whirlwind few days, so after a quick bite to eat, I took advantage of the really nice hotel bathtub and my copy of the Bell Jar. I was asleep pretty early and woke up the next morning excited to start the day. 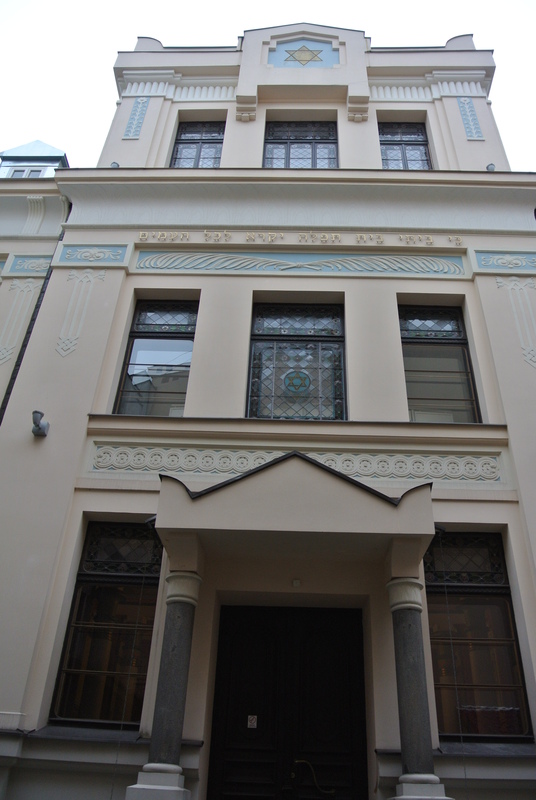 There was really only one thing that was on my list of place to see in Riga: the only synagogue in the city. 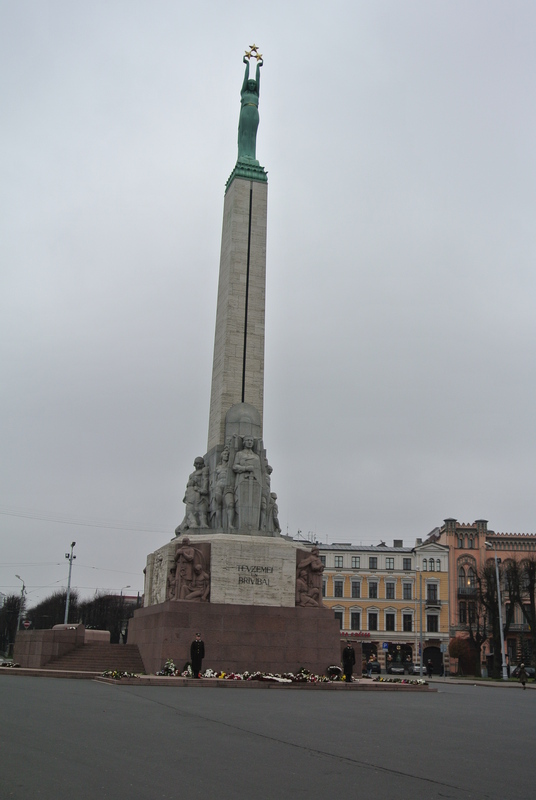 After Riga was occupied by the Nazis, all the synagogues in the city were burnt down on July 4, 1941. 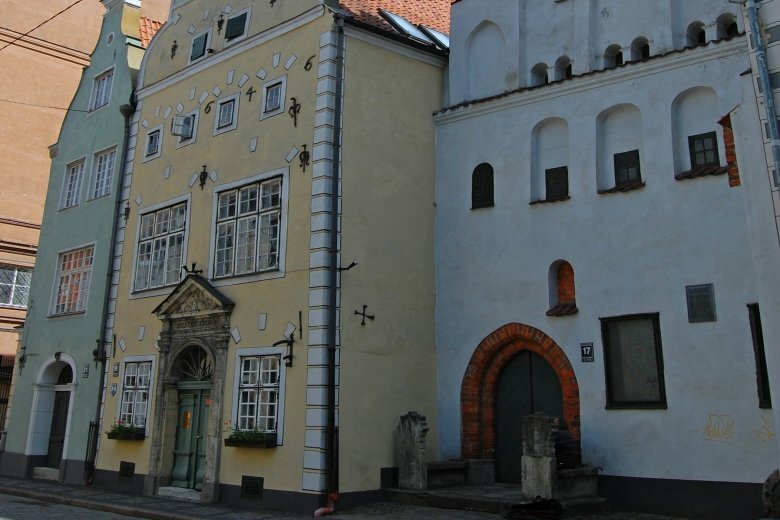 The Peitav Shul was the only synagogue in Riga to escape the common fate because it was located in the Old Town and there was a risk that the fire would spread to nearby buildings. 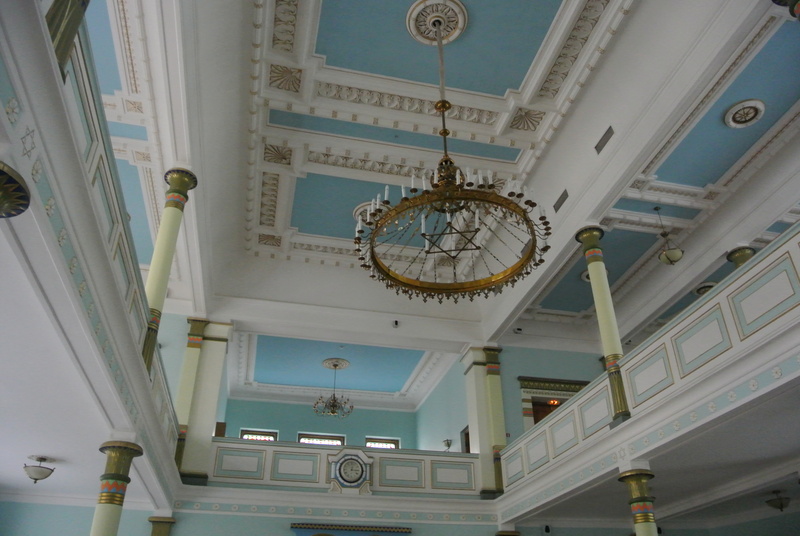 During the war the synagogue was used as a warehouse. 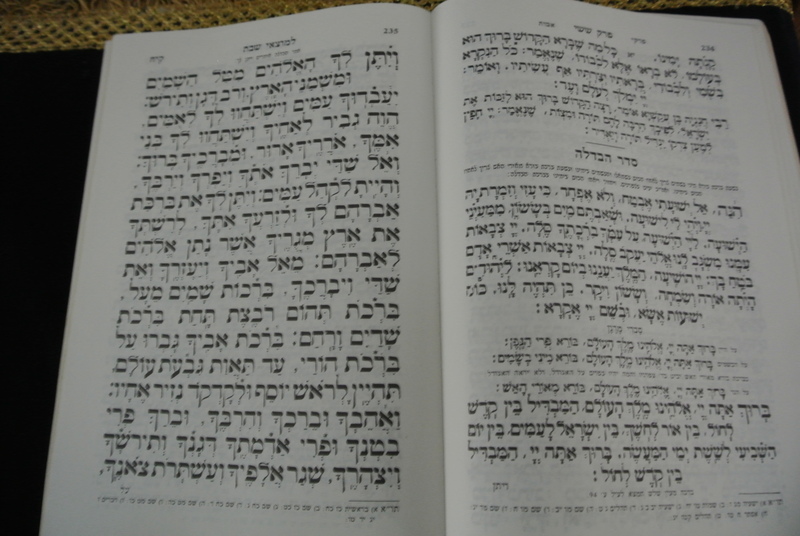 After the war it was learned that the eastern wall of the synagogue, where the bookcase with Torah scrolls (Aron Kodesh) was located, had been concealed. 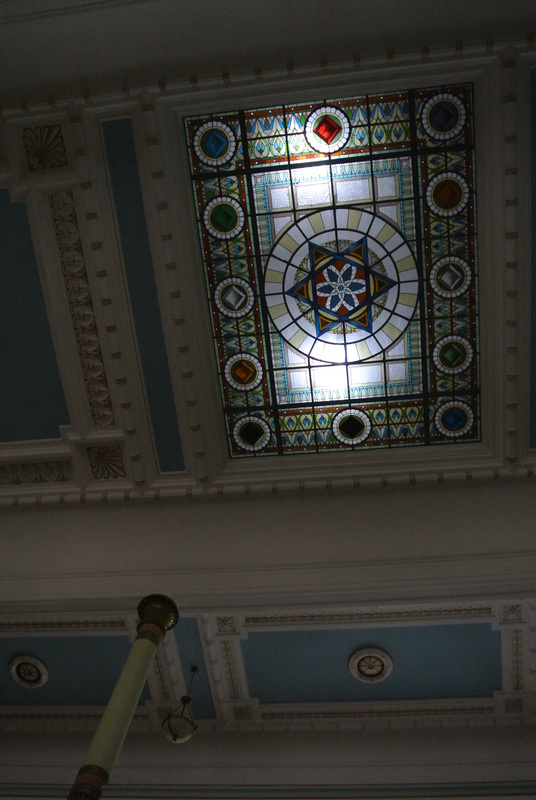 The synagogue did not disappoint. It was absolutely breathtaking. The rabbi let me in and allowed me 30 minutes alone in the majestic space. In all honesty, I could devote an entire post to it. I felt peaceful in there, and felt a small connection with family who I will never get to meet, but may have gone there. 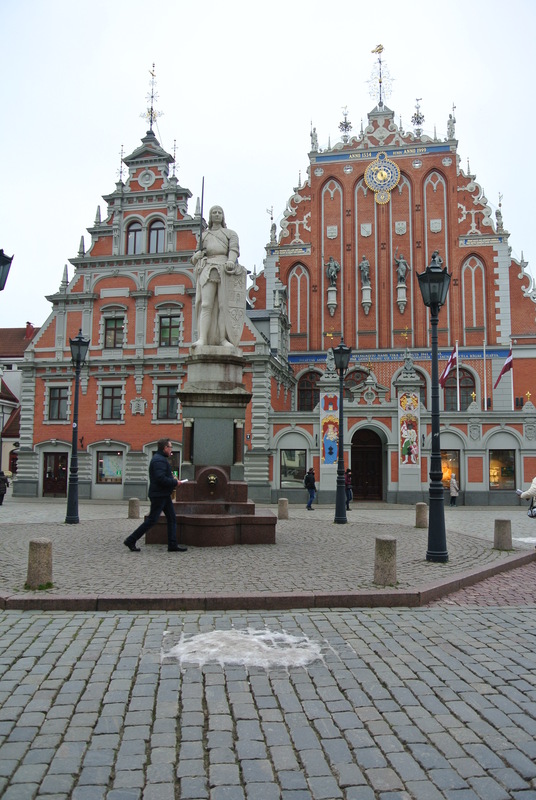 Latvia was never on my radar as a place to visit, but when my aunt told us that that was where our family was from, it became a place of interest for me. 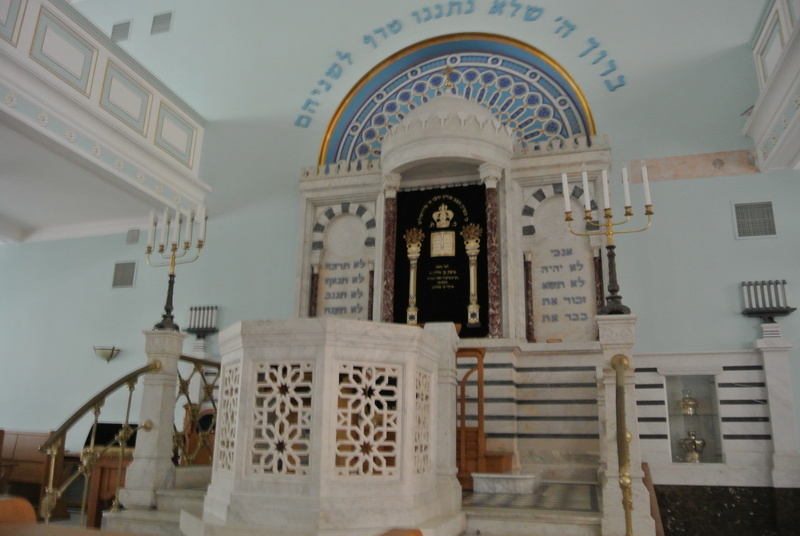 In addition to the synagogue, I saw all of the tourist attractions. By far my favorite was the Cat House. 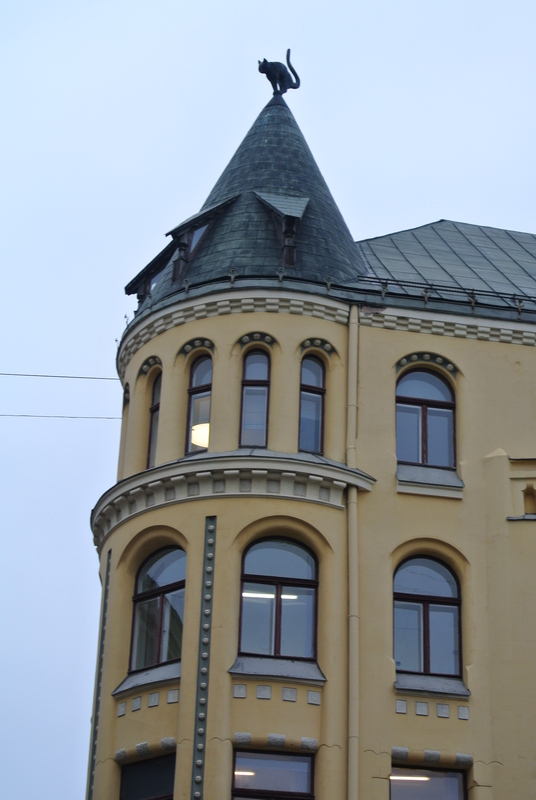 The legend has it that the wealthy tradesman who commissioned the building was refused membership of the Riga Tradesmen’s Guild, mostly just called the Great Guild. The central element of both versions is the anecdote that seeking retribution the tradesman had two copper statues of angry-looking cats with arched backs and raised tails placed on the turret rooftops with their tails turned towards the house of the Great Guild, situated across the street. I could live in a house like that. 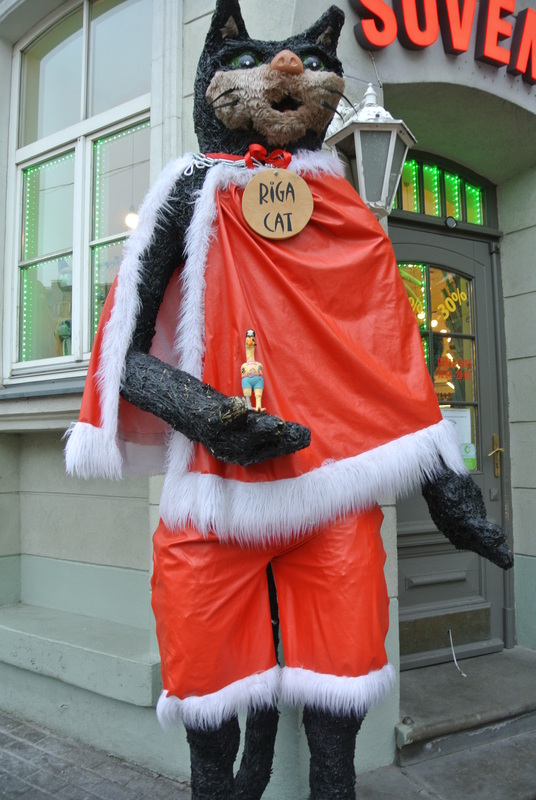 The Riga Cat is also somewhat famous. 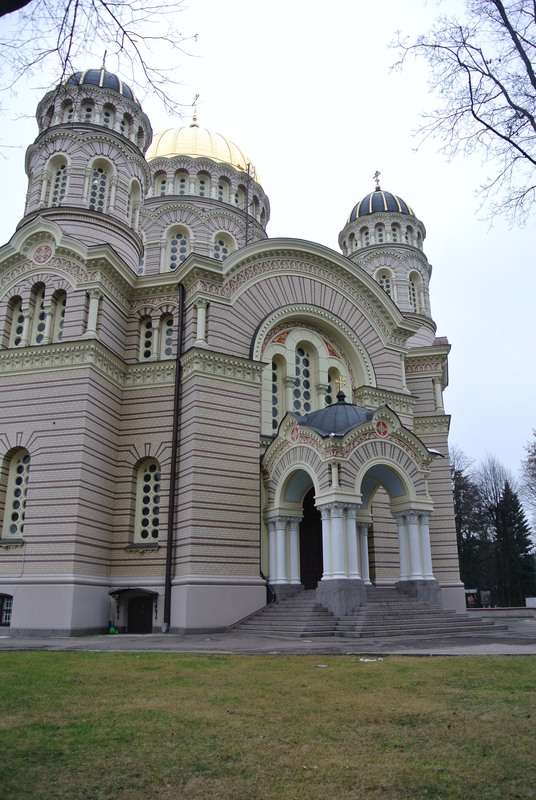 I also visited the oldest set of houses in Riga, as well as the Freedom Monument and a beautiful Russian Orthodox cathedral. I took a hundred pictures. I walked around for hours admiring the views, and because I had a tourist friendly map and a plan, fell in love with the city. 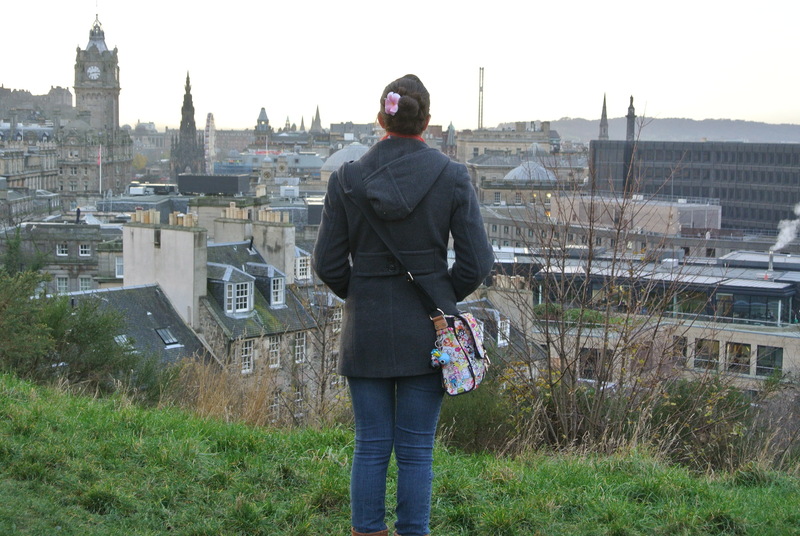 It reminded me a lot of my first few days in Scotland. I had a map, and my ipod. I wasn’t worried about getting lost, and I was happy to be on an adventure. I put on some of my favorite playlists and allowed myself to really get a feel for the city. I ended the day with pelmeni, only the most delicious dumplings ever, and then a Skype chat with some of my favorite ladies from Scotland. All in all, it was a great little excursion and just what I needed to curb my wanderlust for a bit.